Born in 1920 at Ilesa, Nigeria, Engr. Fadahunsi is a doyen of engineering profession in Nigeria. Engr. Fadahunsi graduated from the University of London in 1951. A past President of Nigerian Society of Engineers (NSE) and Council for the Regulation of Engineering in Nigeria (COREN), he started off his professional career as an Engineer with an engineering consultancy firm in London. Upon his return to Nigeria, he joined Western Nigeria Government in 1955 and rose to the position of Chief Water Engineer of Western Region of Nigeria. 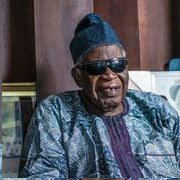 He later served as the Chief Executive Officer of Lagos Executive Development Board (the fore-runner of the present day Lagos State Development and Property Corporation) between 1963 and 1971. He went into private practice in 1971 and established an engineering consultancy firm, Comprehensive Engineering Consultants. The firm has a rich experience in the design and supervision of several projects in diverse areas of engineering. Engr. Moussa Nakhla was born in 1971 in Israel. He graduated from the prestigious Technion – Israeli Institute of Technology in 1996. He worked in an engineering consultancy/construction firm in Israel from 1996 to 2002. He joined the Company in 2002 as a Project Engineer and rose steadily through dint of hard work and uncommon dedication. He was, at different times, Project Manager, Chief Engineer, Head of Road Division and Deputy Managing Director before becoming the Managing Director in October 2011. Arc. Odeyemi was born in 1950 at Azare in Bauchi State, Nigeria. He is an alumnus of Ahmadu Bello University, Zaria and University of Edinburg, Scotland. He is a well rounded professional. He was an associate in top architectural firms in Nigeria and afterward served as Consultant to the UNDP (an organ of the United Nations) in Central Africa. He later went into private practice and established Solay Associates, a firm of architects, project managers, planners and construction advisors. 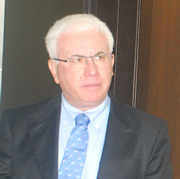 He is the Principal Partner/CEO of the firm. Engr. Rony Paluch was born in 1954 in Israel. He earned a first class honours degree from the prestigious Technion – Israeli Institute of Technology in 1979. Since then, he has garnered extensive experience in all areas of civil engineering practice. Between 1979 and 1987, he was involved with the supervision of several building, road and drainage construction works in Israel. In 1988, he joined the Solel Boneh Group as Project Manager and supervised the construction of a massive poultry farm in Kaduna. He also served as the Project Manager for Gwagwalada General Hospital, Abuja. He returned to private practice in 1993 and was involved with the design and supervision of many building and road projects in Israel. In 1997, he joined RCC as Head of Building Division. 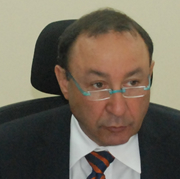 He later served as the Managing Director of the Company 2 times between 2001 and 2006 and between 2009 and 2011. In October 2011, he became the Vice President/Managing Director of SBI International Holdings AG, Switzerland - the parent company of RCC. B.Sc. (Economics); BSc (Business Administration). Mr. Hefling was born in 1950 in Israel. He attended Hebrew University, Jerusalem and Haifa University – both in Israel. He holds Bachelor's degrees in Economics and Business Administration. Between 1978 and 1982, he was a public officer in Israel where he served in Government's Audit Department. 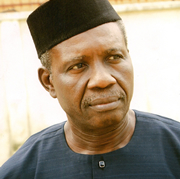 He joined the Finance Department of RCC in 1982 as a Branch Accountant at Enugu. He had a meritorious service in the Company, culminating in his appointment as the Financial Director. 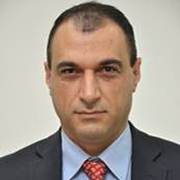 He returned to Israel in 1992 to join Solel Boneh Group where he remained until 2002 before his present appointment as the Financial Director of SBI International Holdings AG, Switzerland. Mr. Hefling is very versed in accounting and project finance.